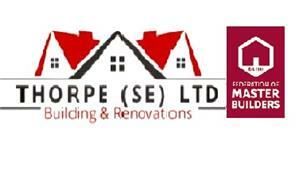 Thorpe Building (SE) Ltd - Builder based in Nonington, Kent. We are a reputable company, who take pride in our work to achieve the highest standards. We have full liability insurance, and have plenty of references available to view if required. Customer care is very important to us, as we like to build a relationship with all of our customers to ensure that you are happy throughout. We offer a range of services from new builds (on which we offer a 10 year guarantee) to renovations, or just general property maintenance, loft conversions, extensions. We cater for all kinds of domestic and commercial projects. Please feel free to contact us for a free no obligation quote.